Please find enclosed invitation for 5th Antwerp Bony Obliteration Tympanoplasty - BOT - Dissection Course, which will be held from the 13th to the 15th of April 2016. 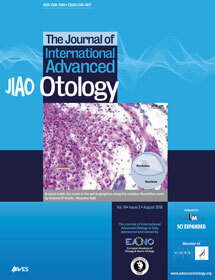 After many years of experience with the Bony Obliteration Tympanoplasty technique (BOT) at our department, the European Institute for ORL-HNS, with excellent results (very low recurrence and residual rate), as shown during the long term follow-up with by non-EP Diffusion Weight MRI, we are proud to present you the 5th Antwerp Bony Obliteration Tympanoplasty Course (Antwerp BOT Course). In our fully equipped Skillslab we will teach you all the practical skills needed to perform a state of the art bony obliteration. In short theoretical lectures we will explain our philosophy. The radiological pre-operative work-up and postoperative follow-up, which are a necessary prerequisite for safely and successfully applying the BOT, will be taught by our world leading radiologists in the otological field. The Antwerp BOT Course is spread over 3 days. Hands-on training on temporal bones and fresh frozen cadaver is combined with lectures on the theoretical background and live surgery. The 6th Antwerp BOT Coursewill be organized from the 23rd to the 25th of November 2016 with Matthew Yung from Ipswich (UK) as our Honorary Guest. See you soon in Antwerp!